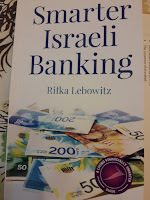 Smarter Israeli Banking by Rifka Lebowitz is a very helpful book. My husband and I made aliyah in simpler times, when we had fewer choices and internet banking was in the distant science fiction. Even doing banking by phone wasn't something anyone could imagine, since a high proportion of Israelis didn't have phones at home. We've been in Israel for just under half a century, and the changes in daily life, including banking, are sometimes incomprehensible. So, yes, even I who rarely finds Israeli "anglos" more veteran to the country than myself learned a lot reading Lebowitz's book. First of all, I want you to know that Smarter Israeli Banking is a very easy and pleasant to read book. I must admit that I was a bit terrified when I received it and was sure that it would make me feel stupid and remind me of those forms that get me dizzy, confused and stupid-feeling. I'm glad to have discovered in Smarter Israeli Banking that it won't cost me more to go to just any cash machine, as long as it's from a bank. The private company ones do charge a bit more. So many times I've walked and searched to find one from my bank. 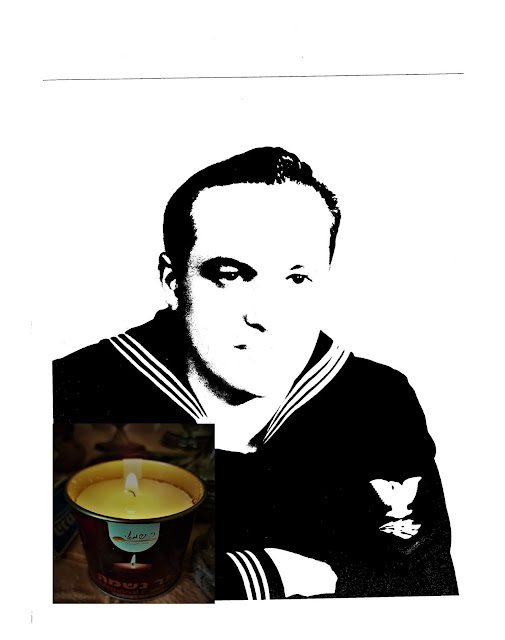 It's a great relief to have learned that I had been mistaken. Lebowitz wrote Smarter Israeli Banking mostly for new immigrants, but even in the first few years in Israel, newcomers can find themselves in a situation we've found ourselves twice. She wrote that banks are closing branches, but she didn't say how that affects us. When a bank closes a branch it offers a choice of open branches for your account. Your old checks will be honored for quite a long time, but your account number and other information changes. This can get complicated, if you use checks to copy all the information from. Payment won't be honored or won't get deposited to your account. 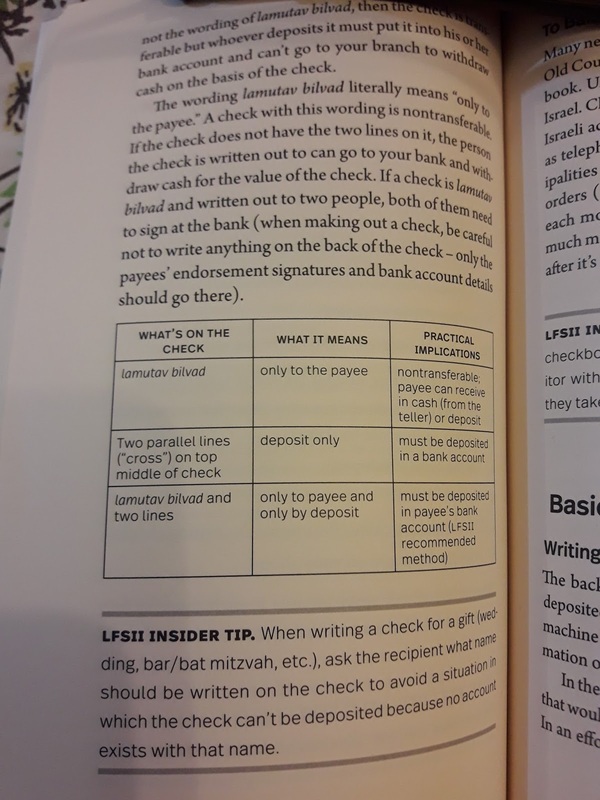 You need to have a copy of all the up-to-date account, bank and branch numbers. There's a glossary at the end of the book, which includes many of the terms that confuse those of us whose business Hebrew is weak. 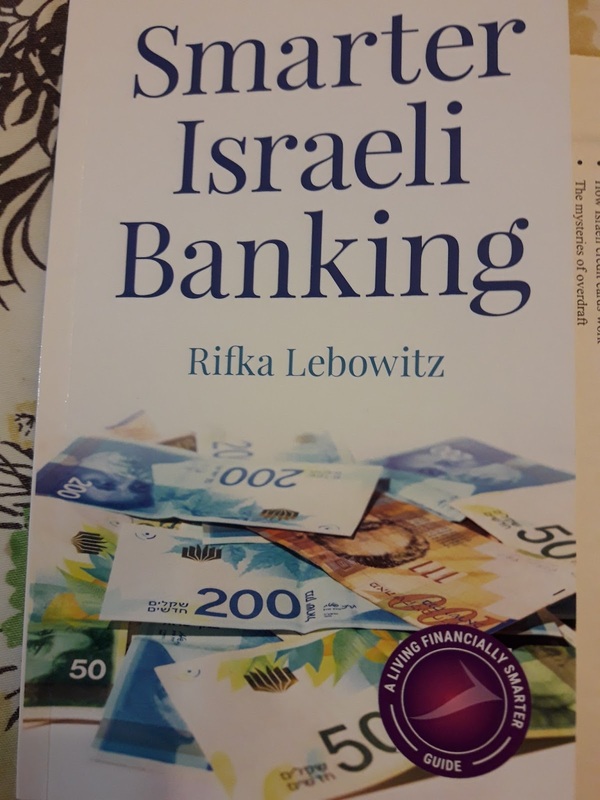 Smarter Israeli Banking by Rifka Lebowitz is a wonderful gift for any newcomer to Israel, and if the newcomer gets more than one, just pass it on to someone else. It won't go to waste. 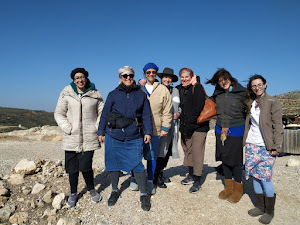 I'd also suggest it not just to olim, but to anyone who is new to handling his/her banking and finances, whether young adults or the recently widowed or divorced. January 1st is Not My "New Year"